The number of eligible death and injury claims being filed in connection with a defective General Motors vehicle ignition switch will certainly increase, an official with the victim compensation fund has said, despite the January 31 deadline passing. Thus far, the top American automaker has recalled 2.6 million older cars since last year after waiting 11 years to begin the reeling in of vehicles with ignition switch failures that were linked to fatalities. Claims were due to be filed by the end of January, and eligible death and injury claims will “absolutely” rise, Camille Biros, deputy administrator for the compensation fund, told Reuters. There have been 51 eligible death claims associated with the ignition switch defection, she said, while catastrophic injuries and less serious injuries stand at eight and 69, respectively. As of Sunday, 4,180 claims were received, up from 3,068 on January 23, Biros said. January was the heaviest month for claims, she added, with more than 1,600 filed. GM extended the original December 31 deadline by one month to accommodate filers. Biros said GM has made 93 settlement offers – 40 have been paid and 49 accepted, and none have been rejected, according to The Detroit News. Claims verified before the deadline but received afterward would still be counted, said Biros, who works with administrator Kenneth Feinberg to administer claims. She said they will likely work to process claims through until the end of spring. GM’s defective ignition switches randomly slip out of position, paralyzing a car’s power steering or disabling its air bags. The problem has been inflicted on various brands -- including Buick, Cadillac, Chevrolet, Oldsmobile, Pontiac, and Saturn -- and models produced anywhere from 1997 to 2011. 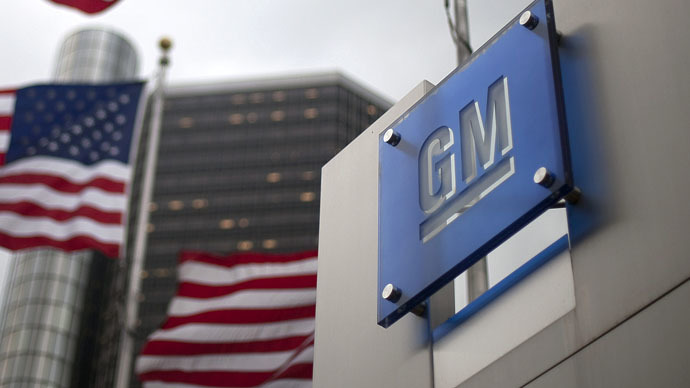 GM has set aside $400 million to $600 million for compensation payments. Feinberg was hired by GM after running out-of-court victim compensation funds for Sept. 11 victims and from the 2011 Deepwater Horizon oil spill in the Gulf of Mexico. Days before the Jan. 31 filing deadline, US Sens. Richard Blumenthal and Edward Markey wrote to GM CEO Mary Barra urging another deadline extension. The senators cited an ongoing criminal investigation into GM conduct by a federal grand jury. They said that victims needed more time to either accept payments or to file their own legal action based on action taken by the US Department of Justice. “The Department of Justice is investigating whether any criminal conduct was involved in G.M.’s handling of the ignition switch defect,” they wrote.